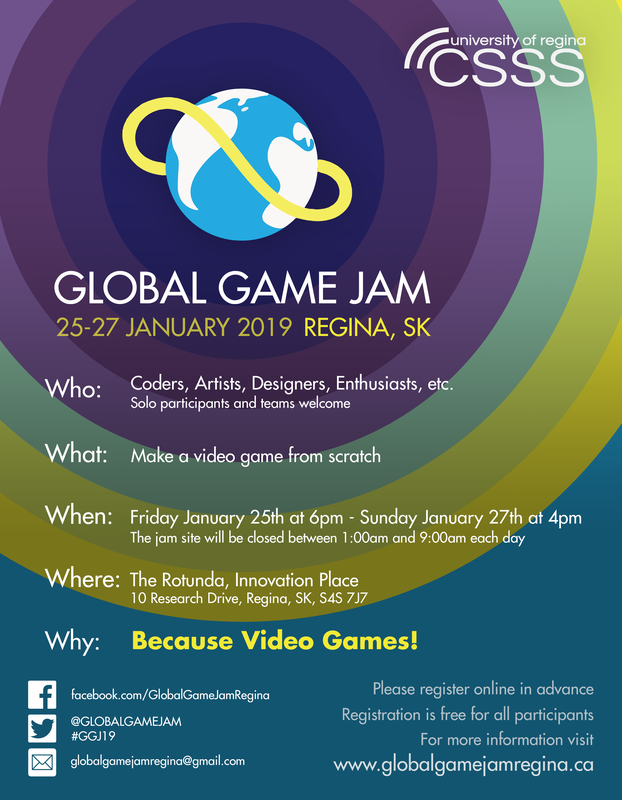 The GGJ brings together talented individuals from within your community. It is a unique opportunity for people to push their skills and challenge their way of working. Participants work concurrently with developers around the globe; we rally around a central theme, and then have 48 hours to create a game. It's our hope that we will see some very experimental realized prototypes that you can continue to work on after the jam. Many games developed in previous Game Jams have become fully realized games. The GGJ is open source, hardware & software agnostic and all projects are protected under a Creative Commons license. We encourage people to try out new ideas and push themselves, within reason. We also strongly encourage participants to remember to eat and sleep, to stay at their best! You can visit our facebook page here. If you've never made a game before or would like to brush up on your Unity skills then please come to our free learning session at the George Bothwell Public Library at 1:00pm on January 19th! During the session you will learn the basics of the Unity game development engine from local professional video game developers and get hands-on practice with some simple game development to get started with your first project.